Welcome to yet more inspiration by the Artisan Design Team as we share some new Sale-a-Bration Coordination products. 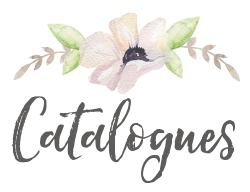 A whole host of new products are about to be added to the Sale-a-Bration offering, which is in full swing. We not only have items you can obtain for FREE, but also new Sale-a-Bration Coordination items to buy. These items will be available during February, for Demonstrators to pre-order and available on 1st March otherwise. You can always add them to a Starter Kit in February if you wanted. 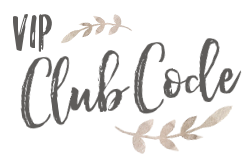 These items will be available for a limited time only, so you won’t want to miss out. You are absolutely going to love the new additions but I know that others will too. 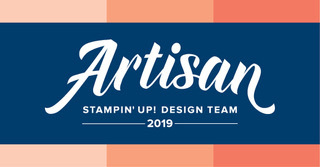 This really is the best time to stock up on your cardstock, ink refills or other essentials to earn the FREE products. 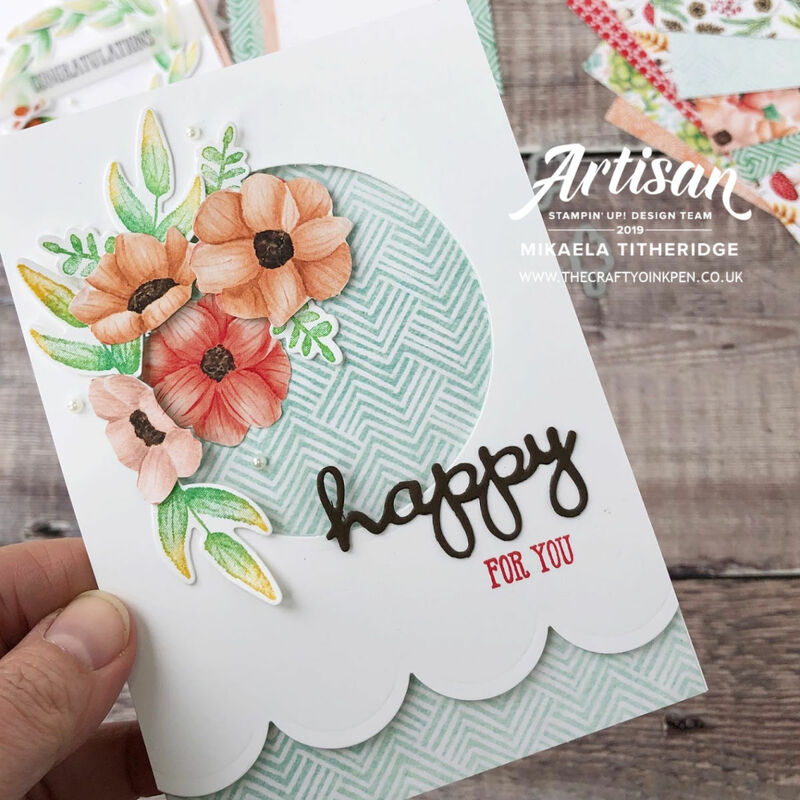 I’m sharing a gorgeous new Stamp Set and Die combo with matching Papers, Painted Seasons. This bundle is fabulous and compliments so many stamp sets that you may already own. It teams particularly well with Christmas and Autumnal sets. Taking you through the seasons, there is something to use all year long. The papers have caused quite a stir amongst my fellow Artisan’s who can’t wait to get their hands on them, so I know they’re going to be a popular Sale-a-Bration choice. Two sided with geometric designs on one side and floral/foliage prints on the other, there’s sure to be something you’ll like. My mind was bouncing around with so many ideas for these beautiful papers, but I decided to use the soft hues to show how to tone down some of the bold prints. Inking up and adding variation in colour using a sponge dauber was where I started. The Die set comes complete with duplicates of the leaves, making it so much easier to die cut two and three leaves at a time. 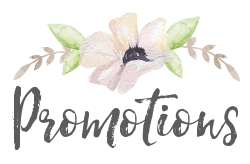 The Stamp Set will be another FREE Sale-a-Bration choice starting 15th February and the Dies, a purchasable item from 1st March. Of course Demonstrators, will be able to pre order these from 1st February though. A heap of leaves on the desk turned to this simple little wreath, before adding a vellum banner that’s a gentle addition. Hard to cover up the papers, but the subtle edge seen, is so very delicate, that I love it. This paper seemed a little bolder, but I loved how the Grapefruit Grove and vellum layer, again toned it down. A customer had recently told me of her up coming Retirement, which had me thinking. New beginnings and regeneration are often thought of when you think of a Pine Cone. This card would be suitable for both a male or female retirement and offers something quite different. A beginner crafter could easily create something beautiful with these and also an avid crafter alike. I’m not normally one for fussy cutting, but these beautiful flowers were screaming out to be cut. Trimmed down and staggered in heights, I added some die cut leaves to create a corsage. Such a delicate feminine card, I felt that it needed this scolloped trim to expose more of the paper. 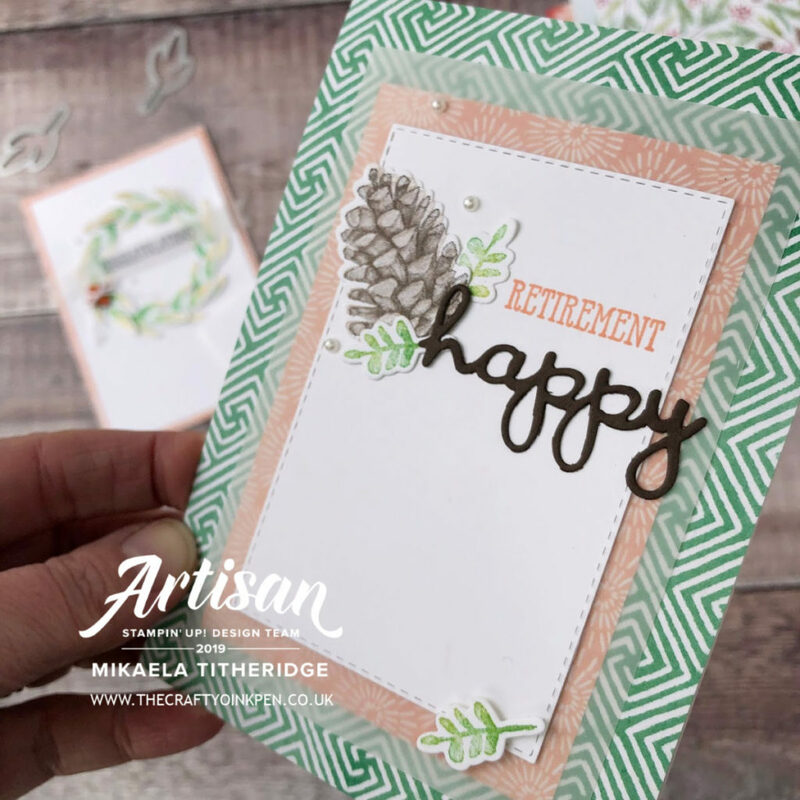 If you were new to crafting, you could create some stunning cards with these papers with just a sentiment. 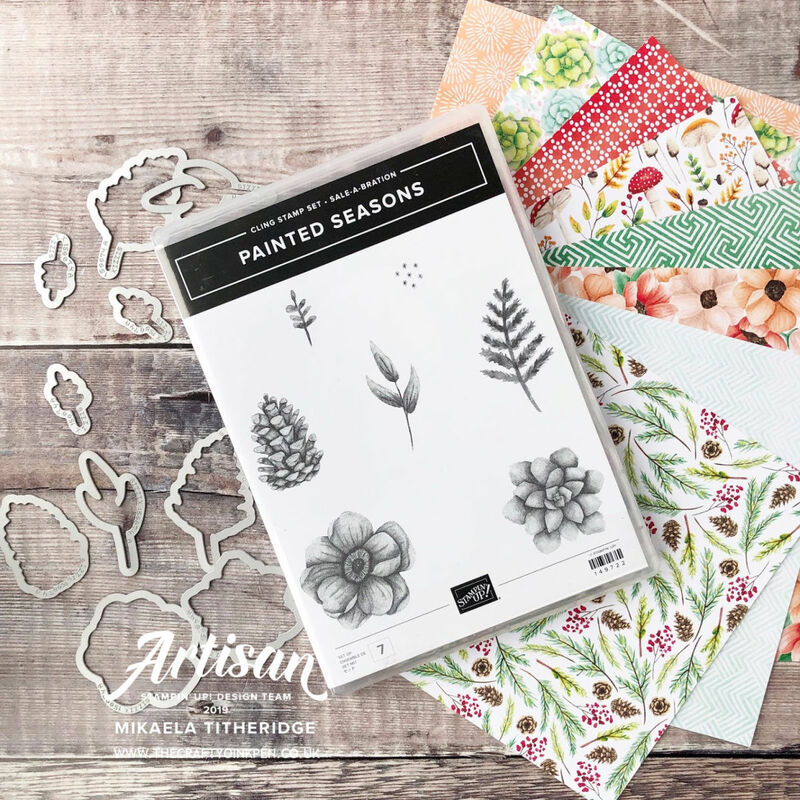 Painted Seasons Stamp Set and Painted Seasons Designer Series Paper Bundle – available for FREE with a qualifying order from the Sale-a-Bration offering. I absolutely love how not only the stamp set, but the papers take you through the seasons. 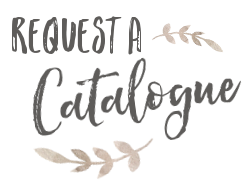 Year long use, you’ll be wanting to stock up on the papers which will be FREE with a qualifying order. 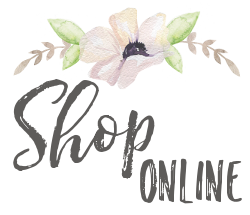 I really hope you like my offering today and that you can see the beauty in these gorgeous products like I and the other Artisan’s can. 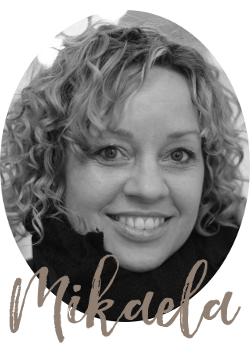 Take a look at what Narelle has to share with us today. All three cards are just awesome! Lovely cards. Showcases the suite so well. I like The variety especially retirement. You hardly ever see those typE of cards. You have made me fall in love with these pr! So pretty! Oh my dear – such amazing cards! Love them all! Hey Mikaela! This paper is just beautiful! 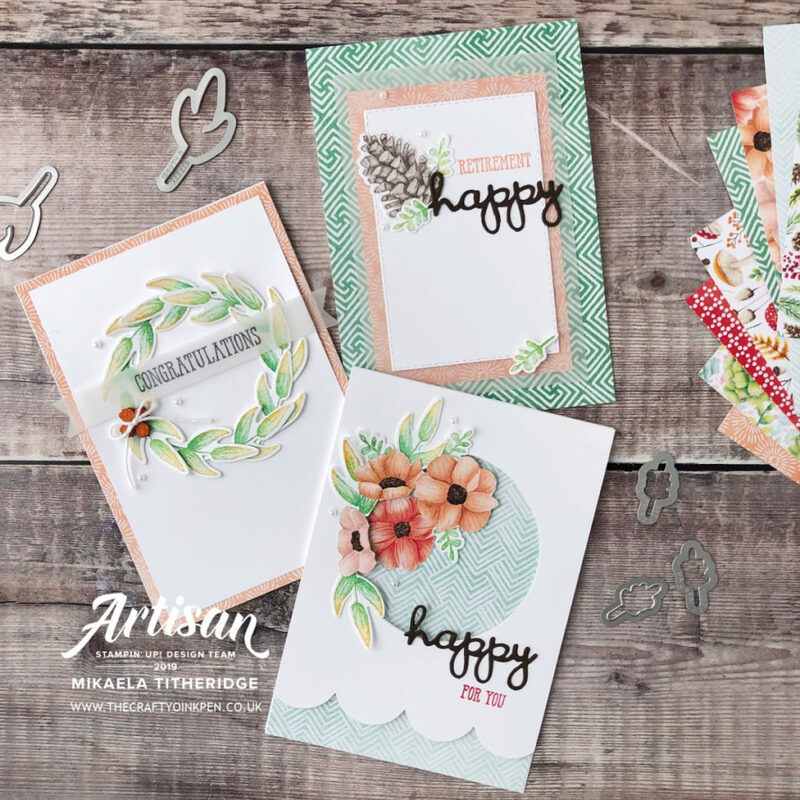 The creations are both sweet and vibrant, and I like adding vellum and how to use the seasonal overlay cuts. It’s really a beautiful set of fresh and bright cards! Bravo! 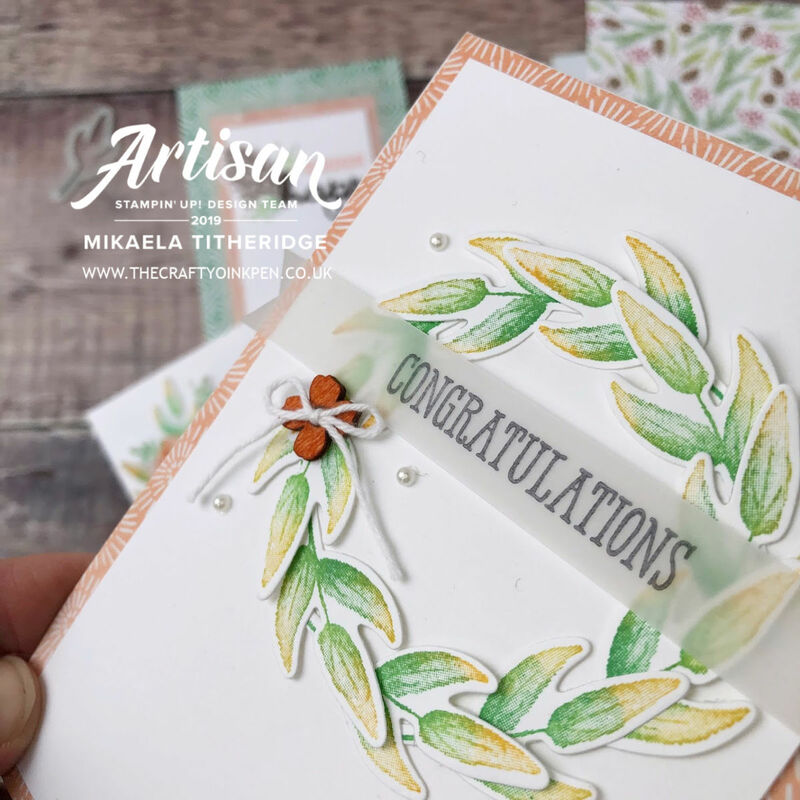 Beautiful cards–love all the details!